This Friday the Professional Accounting Society will be participating in UH-D’s One Main Event (OME) to recognize its student organizations and members. No matter who wins the awards, we are proud of our members’ dedication to making our organization amazing! Due to our sudden participation in the award ceremony, we changed the date of our sports event to the 22nd of April during the same time of 5pm-7pm. Please sign-up at the same link that was provided. In two weeks we will be ending big with our Excel workshop and the visit to BKD! The workshop will be instructed by Edward Yang from the Data Analytics Society . That being said, even if you attended last semester, it is best to take advantage of the new material that this semester has to offer. Make sure you have the visit to BKD on your calendar. PAS wants to make a great impression with the firm to secure on-campus interviewing in the future. This will be a great opportunity for you and future members. As you may know, PAS has been nominated to receive awards at this years OME Award Ceremony with UH-D. We are asking all of our members to support PAS by voting for the award that you feel we should win. Not only has our organization been nominated, two of our members and our faculty adviser has been as well. 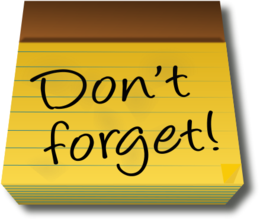 Make sure to login to your Orgsync and follow the link provided. You can find the complete list of nominees and awards by visiting our website. Voting ends Monday, April 11th. Don’t miss the deadline! A student organization as large as the Professional Accounting Society takes a team to run efficiently. Our team of leaders assist with planning the organizations events, creating corporate relations with firms, and provide our members with helpful information on opportunities to jump-start careers. PAS will hold elections for the 2016 Fall Semester. All positions will begin for the Fall. The President and Vice President positions will begin training in the Fall of 2016 and will have the title, President-Elect and Vice President-Elect. The President-Elect and Vice President-Elect will then receive their titles in the Spring of 2017. To be qualified for these positions, you must have a 2.5 GPA and at least 2 semesters left. Please email our president, Alex Sanchez at pas.president@gmail.com for an application. Applications need to be sent back with UHD transcrips by April 11th. Selected candidates will give presentations on why they want the position and their goals and plans for their term. Elections will take place shortly after on a website that will be determined and controlled by our faculty adviser. Good Luck everyone! Join PAS on April 19th from 3pm-5pm to visit BKD at the Williams Tower. 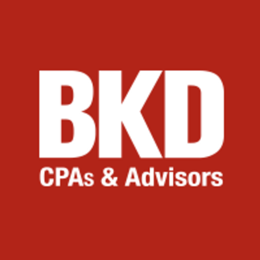 Today BKD is one of the largest CPA firms in the U.S. and serves clients in all 50 states and internationally. Visiting a major CPA firm such as BKD will offer you the opportunity to network with current partners, associates and interns. Not only will this give you the chance to practice your elevator pitch but you could potentially make new connections that will open the door to a promising future. Please RSVP for this event on Orgsync. A maximum of 50 people can attend this visit. Make sure to RSVP today! 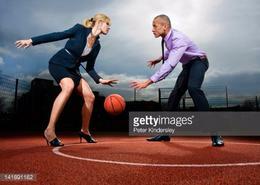 Accountants can be athletes too! Come show off your skills at our PAS sporting event April 22nd. We will be playing 3 on 3 basketball and a game of dodgeball! For those of you who aren’t athletes, you can still come to show your support! This event will be a great way to get us out of the classroom and professional wear and into a relaxed atmosphere with friends. This is also a great way to practice our teamwork with other members. The event will take place in the UHD main campus gymnasium from 5pm-7pm on Friday, April 22nd. Please sign-up ASAP! It’s time for UH-D’s Spring 2016 Open House! This year the Open House Planning Committee is excited to introduce a new and exciting event to showcase our student organization to future UHD freshmen and transfer students. This year’s Student Organization Showcase will be held on the North Deck from 11 to 1. All of our members are encouraged to join us during this time to interact with the participants and help them learn about UHD’s student life and your organization. PAS polo’s are required of attendee’s. There will be music, dancing and food during this event. There will even be a table and tent contest. We need our members help to get creative! During the Student Organization Showcase and Lunch Block Party each organization will be given a table to decorate showing your Organization and Gator Pride. Participants, UHD Staff, and Open House Guests will vote on the most creative, prideful, and unique tents. Prizes and Awards will be given to the winners. Please email pas.secretary@gmail.com for agenda before attending.